With Donald Trump as the new President-elect, let's take a look at how his proposed plans and policies may affect medicare, the federal health insurance program that currently covers over 57 million people. As a senior and boomer himself, it is hopeful that he will have a vested interest in providing the much-needed answers to their growing concerns about the Medicare and Social Security system. There is an irrefutable impending budget crisis for this program that many agree will need to be addressed sooner than later. This is mainly in part due to the fact that, for the next twenty years, an average of 10,000 people each day will reach age 65, with Medicare enrollment projecting to reach 64 million by 2020, and 80 million by 2030. In addition, nearly half of beneficiaries have three or more chronic conditions, and forty-eight percent of the elderly population are considered "economically vulnerable” with incomes less than twice the federal poverty line, it's apparent that the benefits received through Medicare are relied upon by many to afford essential medical services. Last year in 2015, medicare accounted for 15% of the federal budget, totaling $540 billion, and America’s financial obligations to Social Security and Medicare are set to roughly double in the next eight years. Americans are aging at such a rapid pace, the concern is that there is not enough people overall paying into the system to offset the growing number of retirees expected to start collecting their benefits over the coming years. Although Medicare has about $200 billion in reserves now, the program is expected to run at a deficit starting in 2021, and is forecast to be depleted by 2028, which will affect Medicare Part A, the part that helps pay for hospital stays, home health services, skilled nursing, and hospice. Aware of this looming shortage, many Republicans have been trying to offset this surge by revamping Medicare with a possible goal of phasing it out altogether. Paul Ryan of the House of Representatives has been at the forefront of the proposed reform. At the most recent Republican National Convention, the GOP's platform included big cuts for Medicare and Social Security. For Medicare, the 2016 GOP platform proposed increasing the age of eligibility and an eventual replacement of Medicare with a contribution to a health plan of the beneficiary's choice. This could potentially lead to huge jumps in premiums for seniors and limited Social Security benefits. Trump, however, is documented rejecting any and all ideas of gradually converting Medicare to a voucher system in which the government subsidizes private insurance for future retirees. In response to his stance, US Congressman Dave Brat (R-Va.) said, “He has to change his mind. Social Security and Medicare are both insolvent in 2034, so if you don’t want to touch them, they’ll be insolvent." Medicare is funded primarily from three sources: general revenues (42%), payroll taxes (37%), and beneficiary premiums (13%), and Trump has insisted that economic growth and cutting the tremendous waste, fraud and abuse in the system would solve entitlement spending issues. He cited a recent news report stating that Social Security records show 6.5 million people in the U.S. being over 112, when as of last fall, there were only 42 people known to be that old in the entire world. With no death records for these people, there is no one clearly monitoring who may be collecting benefits illegitimately. Getting a handle on this supposed negligence is one part of what he plans to get control of. Trump's tax plan is intended to grow the economy significantly, resulting in more tax revenue flowing into Medicare, while simultaneously cutting massive costs by starting to negotiate our prescription drug costs. “We’re the largest drug buyer in the world. We don’t negotiate. We don’t negotiate. You pay practically the same for the country as if you go into a drug store and buy the drugs. If we negotiated the price of drugs, Joe, we’d save $300 billion a year,” Trump said to an MSNBC interviewer last February. The drug industry claims it gives us significant discounts, but the US still pays far more for the top drugs than other countries, frequently documented as paying more than double, when an analysis of the most popular drugs and their costs internationally were evaluated. One of these drugs in particular that cost the US double what other countries paid, was documented as costing Medicare $2.2 billion in just one calendar year. Taking that into consideration, you’ll start to see how this “overpayment” by our country adds up and is most likely playing a major role in the deficits we've referenced. “We are not allowed to negotiate drug prices. Can you believe it? We pay about $300 billion more than we are supposed to, than if we negotiated the price. So there’s $300 billion on day one we solve,” Donald Trump said at a rally at Plymouth State University in N.H. on Feb 7, 2016. What some may consider lofty and arduous promises, it is evident that the new President-elect Donald Trump is on a mission to try to keep Medicare and Social Security the same, without imposing the significant changes to it that others are recommending. He believes that the imminent shortages can be solved by smarter, more efficient actions, and is showing a strong commitment to try to save these programs without having to make cuts that could negatively affect many American retirees healthcare options. 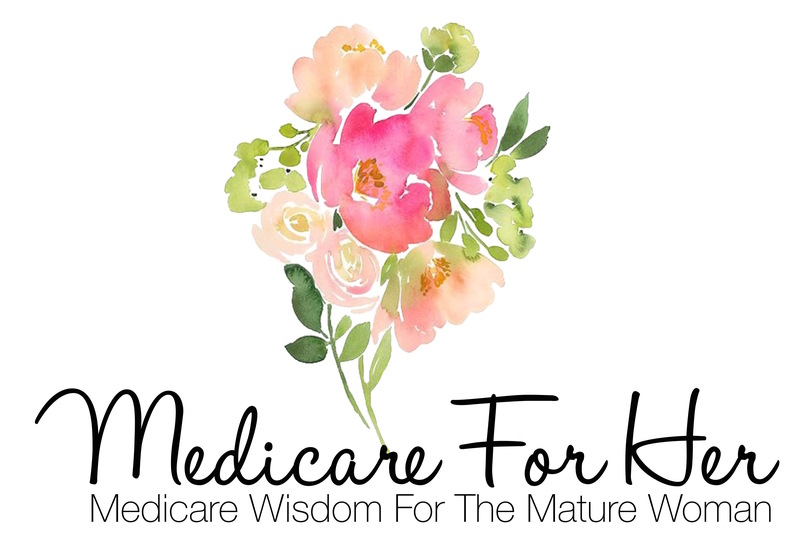 Medicare For Her is the premier source of wisdom for ladies seeking to make the right choices and find the smartest path to the different supplemental options on their Medicare journey. Our goal is that you will walk away empowered, informed, and certain.